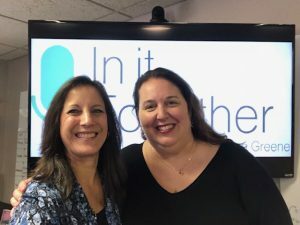 Today on Recovery Now, Jen Lever from Recovery Now was on assignment, and special guest Camille Gaydos joined Lori to discuss There is Hope Community Outreach. They started off talking about their recent Gala, to help Christian missions that are volunteer operated. Camille then told us about her background as a nurse, starting medical clinics, and her passion for addiction and recovery. Next, they continued about the need for spiritual intervention in recovery efforts, and the importance of meeting people where they are. They then shared stories of ministering to the less fortunate, and how they aren’t that different than us. Camille explained why There is Hope was developed, their partnerships, and being sensitive to how we minister to people. Finally, Camille told us about the next GALA and how we can get involved. Listen in and hear more about it!